Maruti Suzuki Alto 800 is a very important car for Indian automobile giant Maruti Suzuki. The car has been the bread and butter model for the carmaker since the time it was launched in the Indian market. Targeting the mass segment of buyers, this entry-level car has always been the best-selling model in the country. 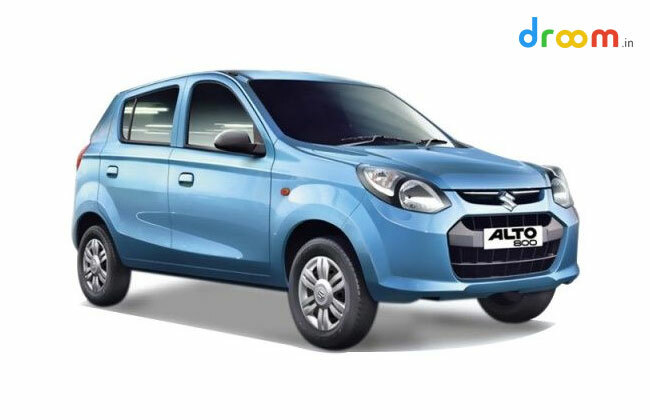 The current incarnation of the car carries the legacy of two of the best-selling cars of all time, the Maruti Suzuki 800 and the Maruti Suzuki Alto. Any person who is looking to purchase a cheap yet value for money car, will go for the Maruti Suzuki Alto 800. The hatchback returns great value at a very reasonable price and with the new model, the Alto has got a refreshed look that made it more appealing in the ever-growing entry-level car market. Powered by an 800cc petrol engine, the car produces a maximum power of 47.3 bhp. It returns an ARAI-certified fuel economy of 24.7 kmpl. It also comes with CNG variants that give a fuel mileage of 33.44 km/kg. The company offers its best-selling car in 10 different colours – Auburn Brown, Absolute Black, Mojito Green, Blazing Red, Granite Grey, Silky Silver, Mojito Green, Cerulean Blue, Granite Grey and Superior White. The variants of the Alto 800 include Alto 800 STD, Alto 800 STD (O), Alto 800 LX, Alto 800 LX (O), Alto 800 LXi, Alto 800 LXi (Airbag), Alto 800 Vxi, Alto 800 Vxi (Airbag), Alto 800 CNG and Alto 800 CNG (O). In the entry-level segment, the Maruti Suzuki Alto 800 rivals with the likes of Renault Kwid and Hyundai Eon.